Sometimes accidental finds at the super-market become your favourite products. 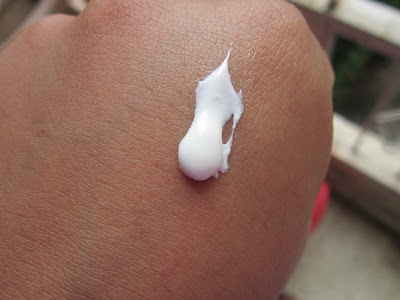 The Neutrogena Ultra Sheer Dry-Touch Sunblock SPF 50+ was one such 'find' ;-) Read on to know my experience with this product. Having used mostly Lotus sunscreens, I wasn't really looking to try a new brand. I happened to see this one on the Neutrogena display and picked it up on a whim as my Lotus Sunscreen was on its last leg. We all know about sunscreens already and have out favourites picked out. Some of us hardly even change brands when it comes to sunscreens because we trust the ones we like, so much. So I'm going to try and make this post a short one & share my experience on this one. 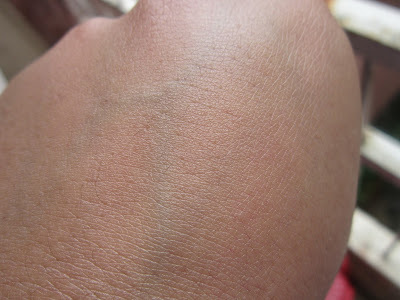 PS - skin may look different due to lighting issues; no white cast at all. A BIIIG thumbs-up for not leaving a white cast on my face. No, No, it isn't because I'm already pale as a vampire...most sunscreens do leave a whitish cast on my face anyway...but this one DID NOT!! 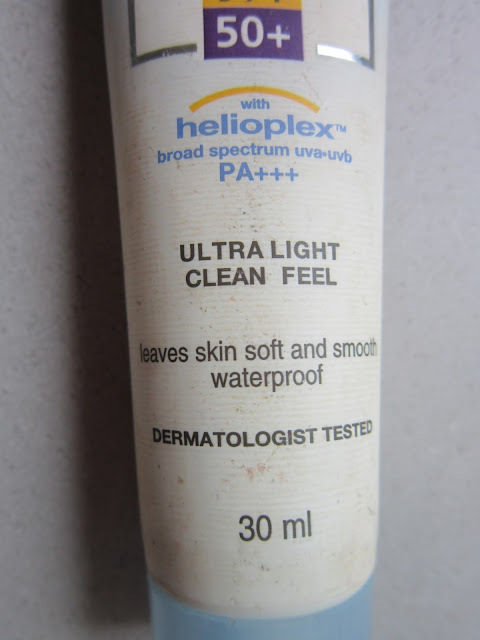 I don't know what's it got, but I can wear it on its own or underneath foundation, without worrying about the typical SPF cast showing on my skin. Isn't sticky!! Well, I'm damn impressed because the packaging says its 'Ultra Light, Clean Feel' & it actually is!! I sweat a lot...a LOT, on my face & it still stays put :-) Yay for being Sweatproof & Waterproof! For Rs.175/- for 30ml, its a definite steal..!! 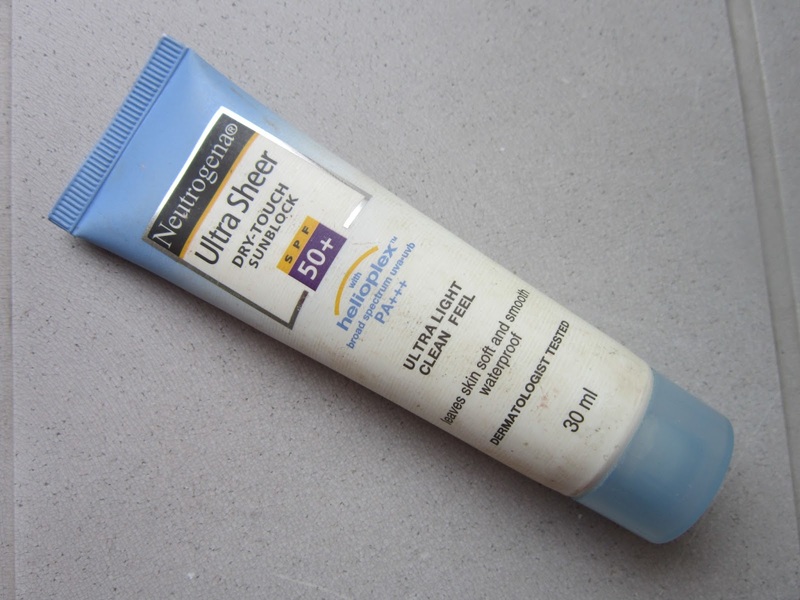 Hope you liked this short, quick post on my experience with the Neutrogena Ultra Sheer Dry-Touch Sunblock SPF 50+. Have you tried out this product? 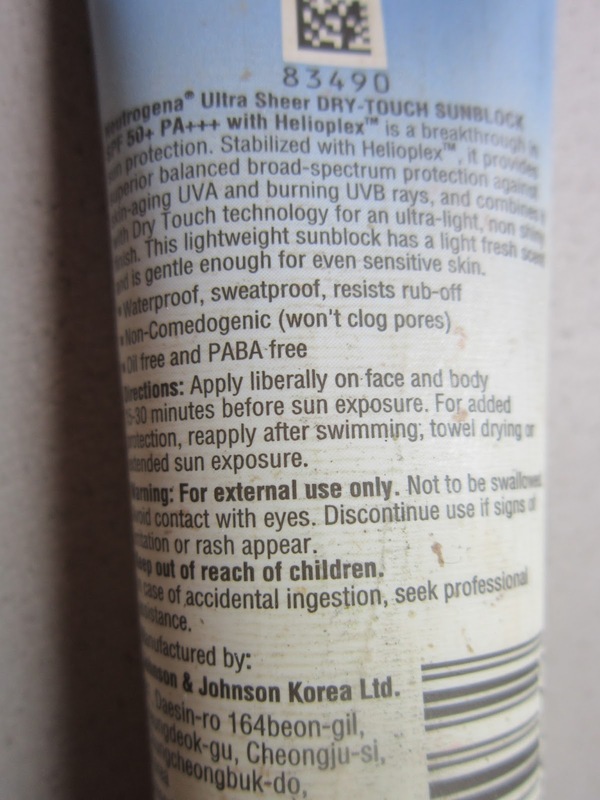 If not, what has been your favourite sunscreen? What's your experience with it? Leave your comments below, I'd love to know your thoughts.